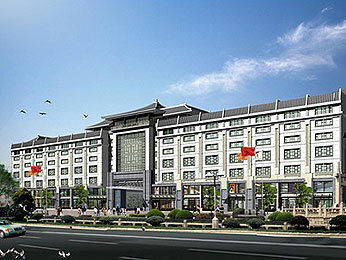 Sofitel Suzhou is in the centre of the old city, only 1 hour by train from Shanghai. Designed in traditional Chinese style, the hotel features 329 rooms surrounding two internal atriums and incorporates the new up market Xuan Miao Shopping Plaza. Facilities include a Cantonese restaurant, Asian Grill, 8th floor wine bar, library, health club, spa and outdoor swimming pool. Xuan Miao Temple and Guanqian Street, two of Suzhous best known landmarks, are within easy walking distance.